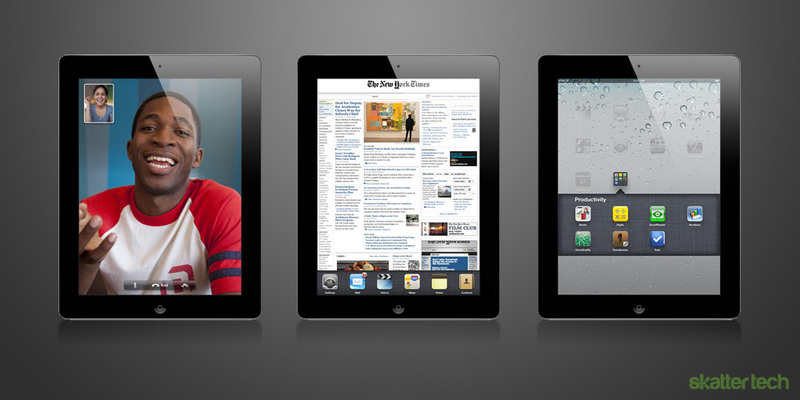 An iPad HD Is Arriving This Fall? When Steve Jobs announced the iPad 2 in March, there was a notable slogan present in his keynote. It read: “2011: Year of the iPad 2.” Certainly, this means that competitors do not even have the slightest chance to make a tablet that reigns over the iPad. But this also put rumors of a third-generation Apple tablet to death — or at least it should have. Yet here we are, with talks rekindling about a new iPad coming this fall. This time, it is not an iPad 3, which suggests an entirely new model. Instead, we can supposedly expect an “iPad HD”. This new device would only be a complement to the current-generation tablet. What makes it so special is the high-resolution display at a nice 2048 x 1536 resolution. That is four times the amount of pixels the iPad 2 has, making for a roughly 264 ppi pixel density. Apple took the same approach with the iPhone 4 in 2010. They branded its new 326 ppi resolution as a “retina display”. Apple could brand an iPad HD the same way, but according to the company, the magical number such a prestigious title requires is 300 ppi. Surely, an ultra high-resolution iPad of this extent would make its display the sharpest on the market. Not to mention it would steal the hearts of millions. But many dispute this concept due to the immense power it takes to operate all those pixels sufficiently. There is no way Apple could possibly ship an iPad HD with the same internals as the iPad 2. It simply would not be feasible in order to get the smooth experience Apple always strives for. A display like that requires a faster processor and some serious improvements to graphics power.